I have to double and triple this recipe for my family. One scoop of this cobbler just isn’t enough. Add creamy vanilla ice cream and you’ve just given your tummy a vacation! Use a pastry cutter to cut in 6 T butter – not softened. Mix until it forms a dough – doesn’t have to be totally mixed. Can and should look a little crumbly. 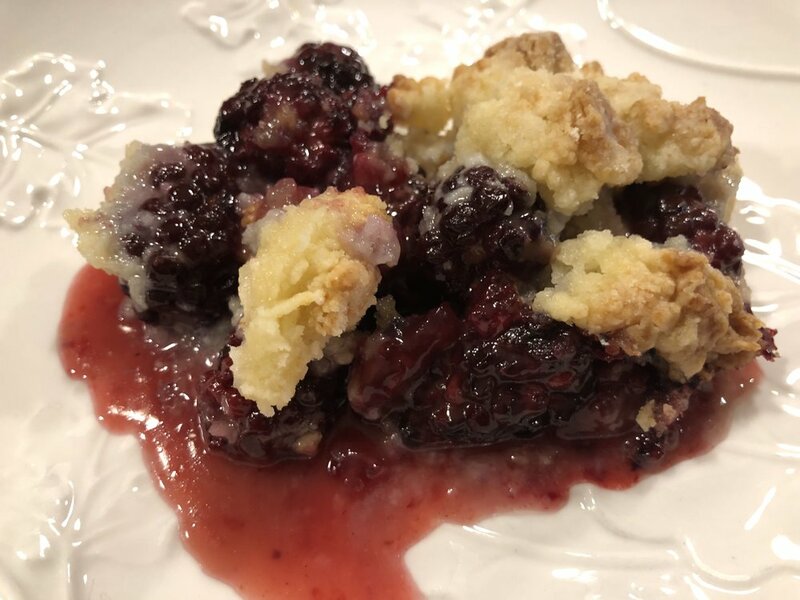 Crumble the dough over the blackberry mixture. Bake about 40 minutes. Make sure the blackberry mixture is bubbling.